I've begun what is considered one of the most difficult passages of Ulysses to read, a stream of consciousness, called Proteus. However, once deciphered, gorgeous passages. Here's a bit from the 1967 adaptation starring Maurice Roëves as Stephen Dedalus. In my daily literary devotions (reminded of my late mother's Bible studies) of Joyce's Ulysses, I came across this Henry James letter to Edith Wharton that says in part, "Life goes on after a fashion, but I find it a nightmare from which there is no waking save by sleep." Of course, one of the most famous sentences in Ulysses (the second episode known as "Nestor") reads, "History, Stephen said, is a nightmare from which I am trying to awake." Was Joyce influenced by Henry James? 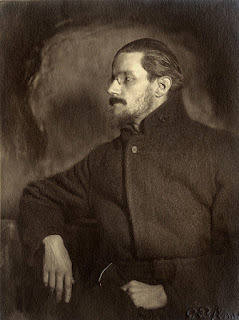 Not necessarily according to The Joyce Project that enlightens: "The letter was not published until 1920, so Joyce could not have been thinking of it as he wrote Nestor ... But all these uses of the same image suggest that it was widely current in the culture of the time." And farther down the rabbit hole I travel. Ulysses is an endless adventure. My Two-Cents is Invaluable, Right? If Jamie Freveletti had arrived on the literary scene ahead of Raymond Chandler, the famous quote instead may have read, “When in doubt, come through the door with a grenade launcher.” In her latest novel, Blood Run, her biochemist protagonist, Emma Caldridge, is three hundred miles east of Dakar, Senegal, when the armored vehicle she and three others are riding in is ambushed. The heavy car shuddered when a second grenade exploded near the roof, and another rain of bullets hit the driver's side window. It failed in a shower of tiny glass slivers and shrapnel. Emma watched in horror as a splash of red washed over the clear divider between the driver and the passenger area. “The driver's been hit,” Emma said to the two others. She pressed the button to lower the glass divider, like those found in limousines, to access the front seat. She was glad that it still moved. That meant that the car hadn't yet lost power. She knew that a car taking fire, even an armored car, had seconds to escape the first hit. A vehicle that didn't move while under attack would eventually be breached, no matter how extensive the armoring. In the days ahead I will be reviewing The Best American Mystery Stories 2017 edited by John Sandford. I finished the first section of James Joyce's Ulysses (1922) commonly referred to as Telemachus. 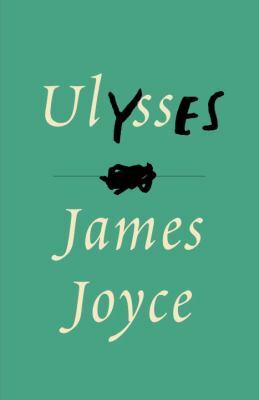 This covers the first twenty-three pages of the edition I'm reading, opening with the iconic,“Stately, plump Buck Mulligan came from the stairhead, bearing a bowl of lather on which a mirror and a razor lay crossed.” He's atop the Sandycove Martello tower in Dublin where he's residing with Stephen Dedalus (protagonist of The Portrait of the Artist as a Young Man) and an English student named Haines. There's tension between the two of them for several reasons (including the presence of Haines) though a main linchpin is Mulligan accusing Stephen of having been heartless to Stephen's mother when she was dying—Mary Dedalus had asked her unbelieving son to pray for her and he refused. In return Stephen overheard Mulligan making a "beastly" remark about his mother's passing. By the end of this section, Stephen has decided to leave the tower and not return. That may all seem quaint, as this plebeian describes it, but there's a lot more happening beginning with the robust language. After Haines assumes Stephen is an atheist: "You behold in me, Stephen said with grim displeasure, a horrible example of free thought" or after his verbal jiu-jitsu with Mulligan: "Parried again. He fears the lancet of my art as I fear that of his. The cold steel pen." And on and on the beauty of these passages build like nothing else in literature. No hyperbole. Martin Amis calls Joyce a "genius ... he makes Beckett look pedestrian, Lawrence look laconic, Nabokov look guileless." Zadie Smith says, "For me, Joyce is the ultimate realist because he is trying to convey how experience really feels. And he found it to be so idiosyncratic he needed to invent a new language for it." And none other than T.S. Eliot: "I hold [Ulysses] to be the most important expression which the present age has found; it is a book to which we are all indebted, and from which none of us can escape." More well known authors make the Joyce case here. Algy - Algernon Charles Swinburne, the ostentatiously decadent late Victorian poet from Northumberland. Dogsbody - a person who is given boring, menial tasks to do. Epi oinopa ponton - from Homer's odyssey that means, "upon the wine-dark sea." Heresiarchs - The founder of a heresy or the leader of a heretical sect. Mummer - an actor who communicates entirely by gesture and facial expression. Thalatta - shouting joy of 10,000 Greeks seeking the Black Sea yelling, "The Sea." I first published Frank Bill in the BEAT to a PULP webzine back in 2009, and have had the pleasure to do so a few more times in the years that followed. 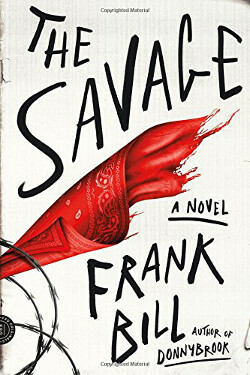 From the start, I was taken with the intensity of Frank’s characters; individuals living on the fringe of society, who, often through no fault of their own, are reduced to primitive survival. He doesn’t pass judgment on these creations; instead he props them up, warts and all, showcasing the driving powers behind desperation. His latest, The Savage, continues this raw vision. Over the years, I’ve stayed in contact with Frank—email here, direct message there—but this interview caught me up to date, finding the Indiana writer on the cusp of new ventures as his debut novel Donnybrook is being made into a movie, currently in production by director Tim Sutton. The starry light of Hollywood’s call hasn’t changed him a bit. This back and forth Q&A took a few weeks while working around the intersection of Frank’s competing schedules: a blue-collar job where he slogs the night shift, training for the run of his life, and his writing pursuits. He remains as candid and humble as ever. Here's my conversation with Frank at LitReactor. Frank Bill’s The Savage feels like the desperate now. It’s not just 21st-century geopolitical fears as two world leaders seem hellbent on taking us down a real Fury Road, it’s also families throughout the American landscape being gutted by the opioid crisis, facing anxieties over losing health care, and befalling the horror of psychotic cretins shooting up music concerts and halls of worship. 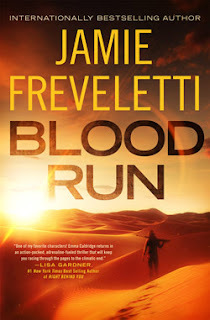 Please click over to Macmillan's Criminal Element blog for my full review. My #FridayReads (as the Twitterati likes to hash tag) is going to be the same for the next year. Choosing to study James Joyce's ULYSSES. 2.5 pages (total of 783) a day. Have annotated version backup and a graphic novel for assistance. "Parried again. He fears the lancet of my art as I fear that of his. The cold steel pen." "He kills his mother but he can't wear grey trousers." "It is a symbol of Irish art. The cracked lookingglass of a servant." 'You behold in me, Stephen said with grim displeasure, a horrible example of free thought." "History, Stephen said, is a nightmare from which I am trying to awake."